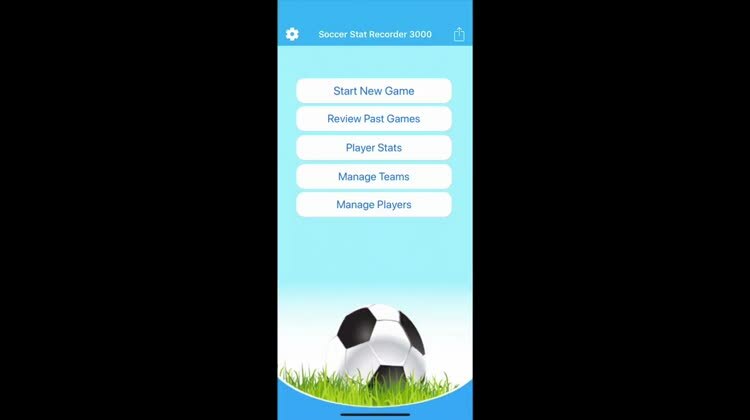 Soccer Stat Recorder 3000 started as a playtime tracker for coaches but because of a strong and activity community has quickly become the most fully featured app for the price. Help us climb the iTunes charts by leaving a review when requested! 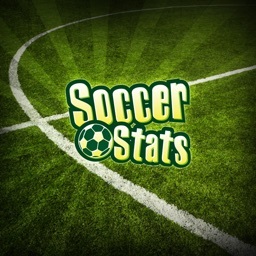 * Track Stats! 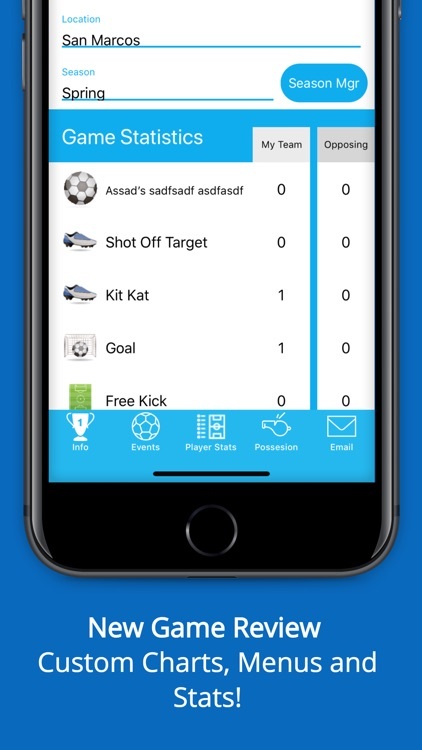 - Fast and easy UI to track goals, shot locations, assists, shot on and off target, corners, saves, crosses, passes (completed and missed), throw-ins, pks, headers, offsides, tackles, playtime, team possession time and much more for individuals and teams. 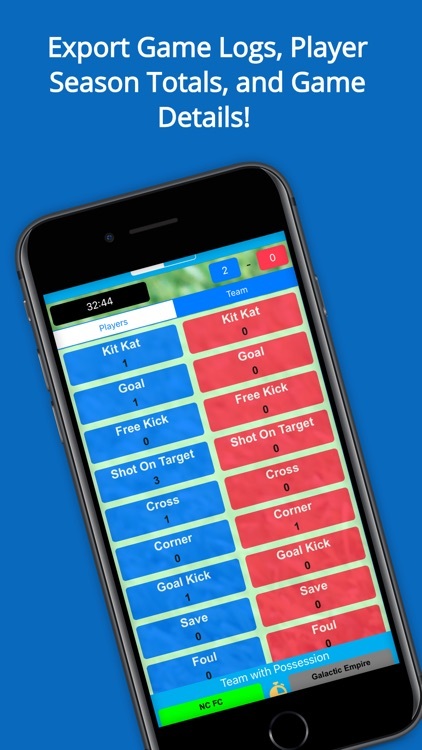 * Track Possession - Quick Toolbar allows people to quickly track / pause possession time. 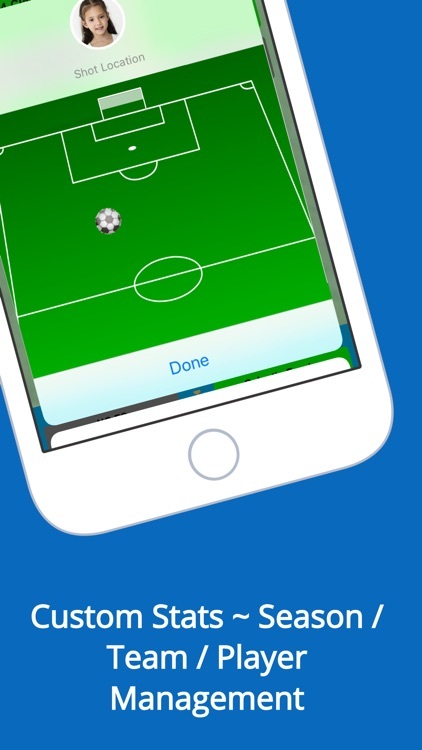 * Longest Passing Streak - Now when you tap the possession button to gain possession, and tap it again to count passes. 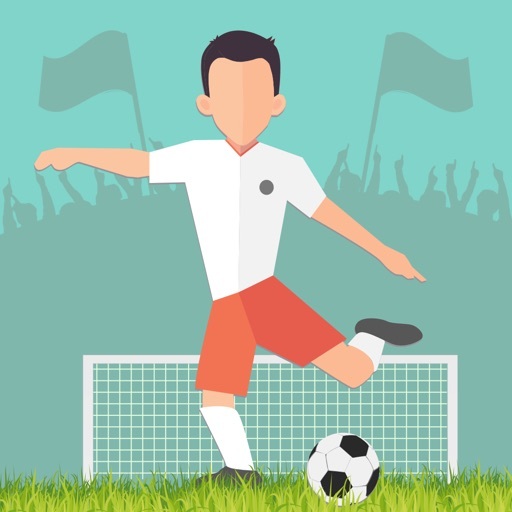 When you tap the other team, you will have lost possession. There is also a rest button which brings that back to zero. 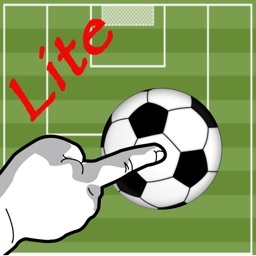 * Game Clock - Games can be set to have an incrementing clock or decrementing playtime clock. 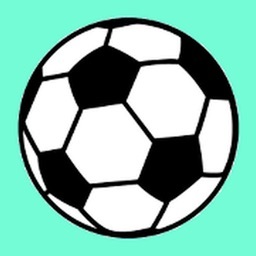 * Review / Export Game Info - Edit, Review, and Export past games summaries to yourself or others via email! Email includes a formatted data file in CSV format for xls data crunching. 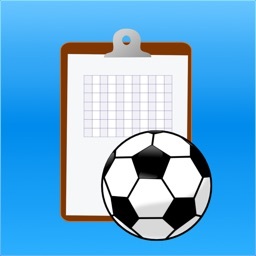 * Season Filtering - Assign a season to a game and filter your games and stats on those seasons! 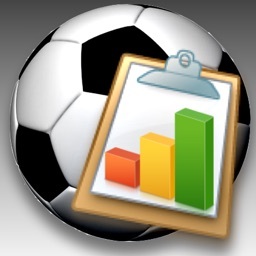 Data is an advantage and Soccer Stat Recorder 3000 provides an easy way of collecting data from which teams and players can utilize to improve. 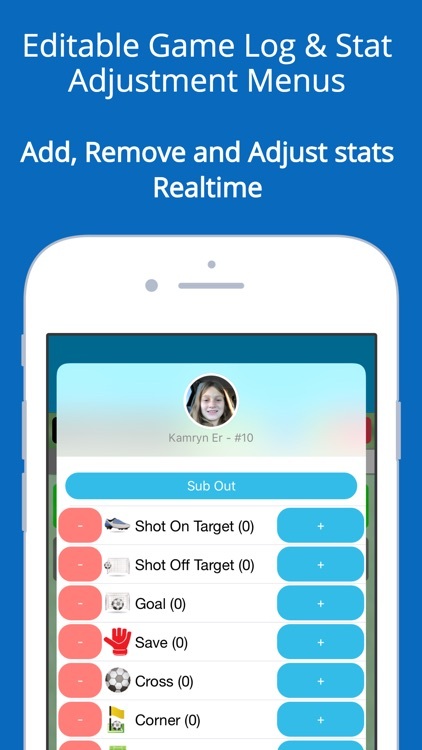 Coaches immediately create more engagement for players not on the field by bringing your iPad or iPhone and letting them collect stats while waiting to get in! 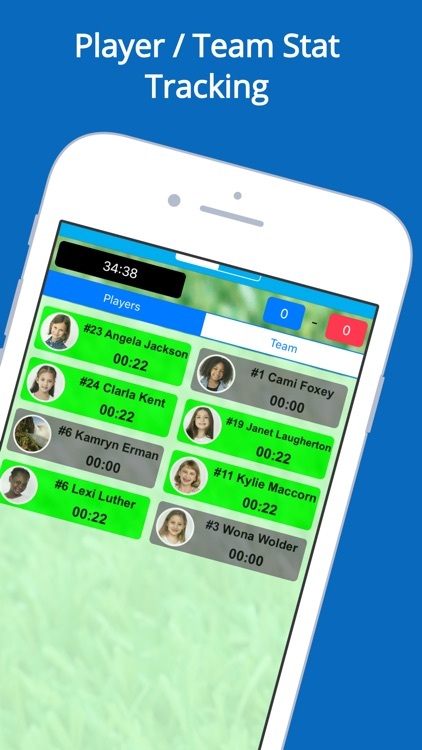 Parents keep track of your players accomplishments and playtime!